This is Okinawa spinach (Ntshuab rog.) There are two that we use in our chicken soup. 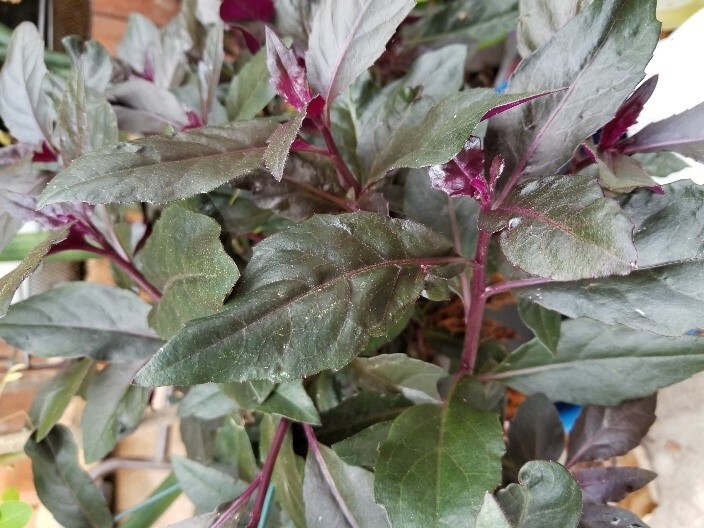 The other one is green and has broad or roundish leaves are new zealand spinach. This is the one I have currently in my garden. I am not aware of any at the moment besides it’s good for blood flow after birthing.